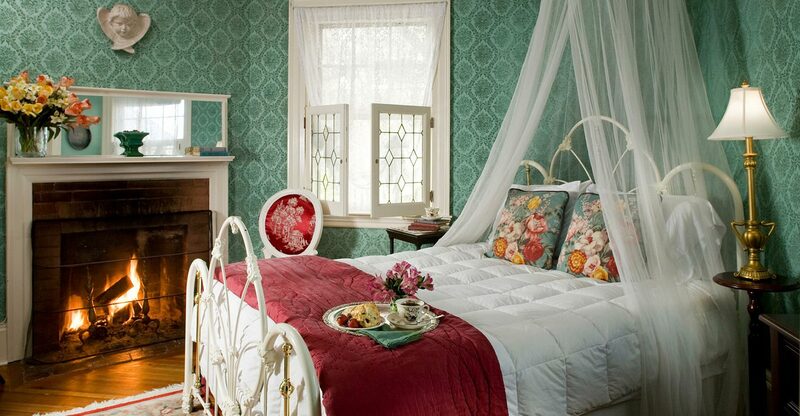 A “romantic” room, featuring a lovely queen size white iron bed with a net canopy. 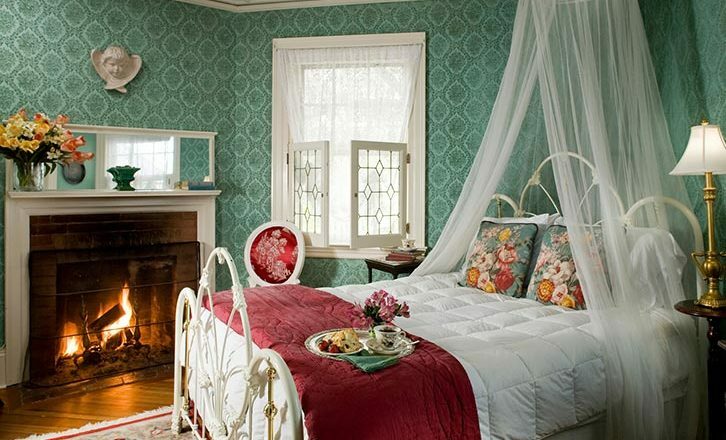 Fluffy down comforter and vintage throw pillows along with antique furniture complete this room’s special ambiance. This corner room has unique leaded glass windows, widescreen HD TV and a fireplace. Enjoy a 72″ Ultra Spa Tub/Shower combination in the new bathroom. 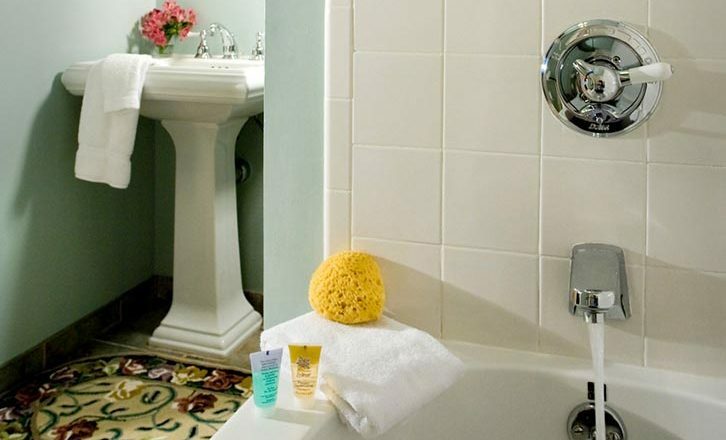 You’ll also find an iron and ironing board, hair dryer and bath amenity collection. Earliest records for this property show that the first home was built by Edmund Spencer (1826-1894), a harness maker in 1852. It was replaced by R. S. Oliver in 1873. Mr. Spencer is buried in Lenox at the Church on the Hill cemetery. "Well, what are you serving for breakfast this morning? Delicious pancakes and sausage? Wonderful eggs, bacon and sweet rolls, and then of course on Sunday your remarkable coffee cake! 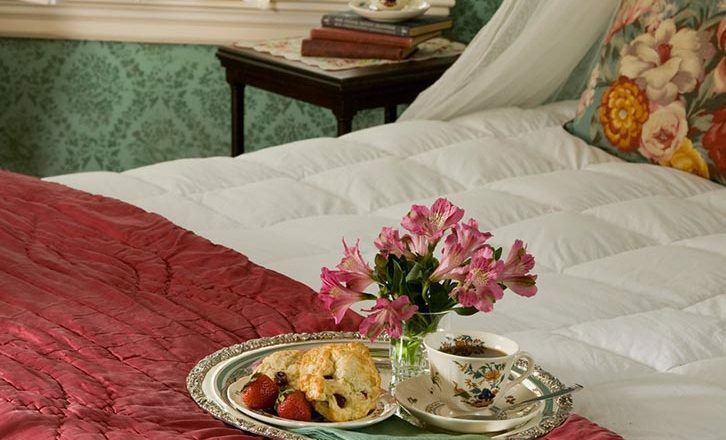 We thoroughly enjoyed our stay with you."